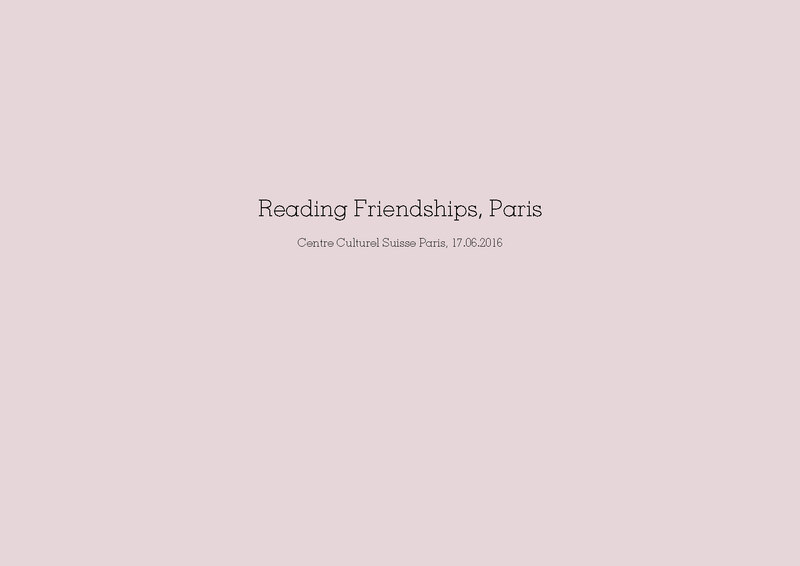 2016/06/17/ Reading Friendships. Au Centre Culturel Suisse à Paris | . . . paula . 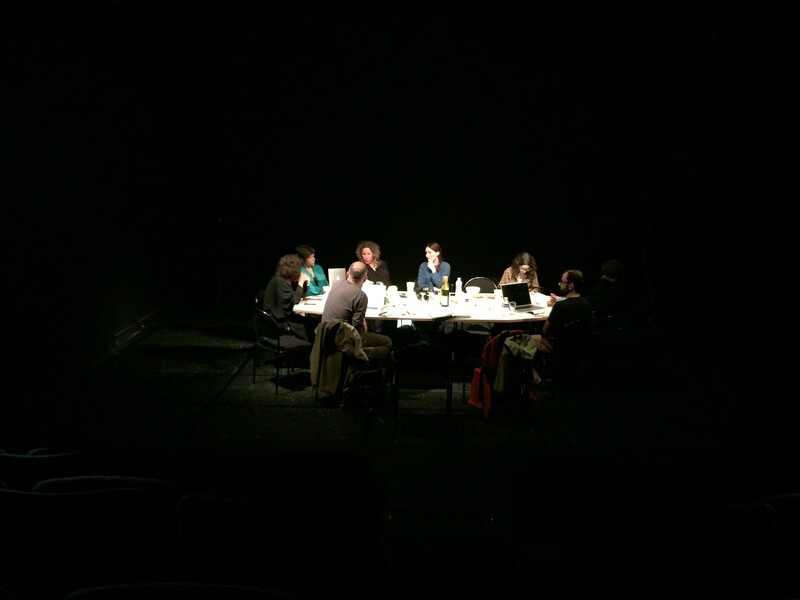 . .
Continent.Continent Reading Groupe in Paris. Lectures at Centre Culturel Suisse. ‘Fraternité’ is inscribed across the architectures of Paris, a city that more than other European capitals of late has had its capacity to support committed companionship and sensitive acceptance brutally strained. As masculinising as it is militaristic, ‘fraternité’ remains one third of the tripartite motto of a country, a capital, and a Place de la Répulique that emerge inspired and inspiring, creating spaces for discursive friendship and deliberative support. This even against what seem like near-biblical rainfall, excessively punitive, and bald-faced xenophobic activities of national parties and governments in various states of so-called emergency. 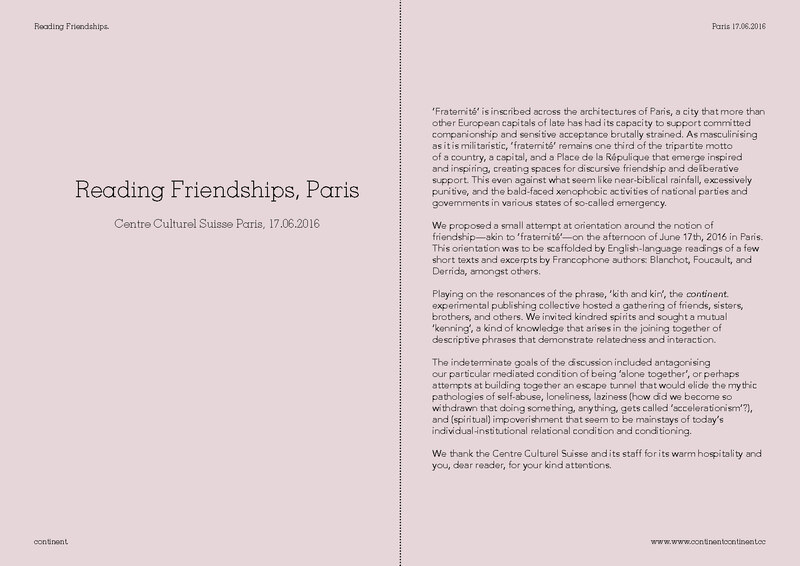 We propose a small attempt at orienting ourselves around notions of friendship—akin to ‘fraternité’—on the afternoon of June 17th in Paris. We will be orienteered by English-language readings of three short texts excerpts by Francophone authors: Blanchot, Foucault, and Derrida. Playing on the resonances of the phrase, ‘kith and kin’, the continent. experimental publishing collective will host a gathering of friends, sisters, brothers, and others. 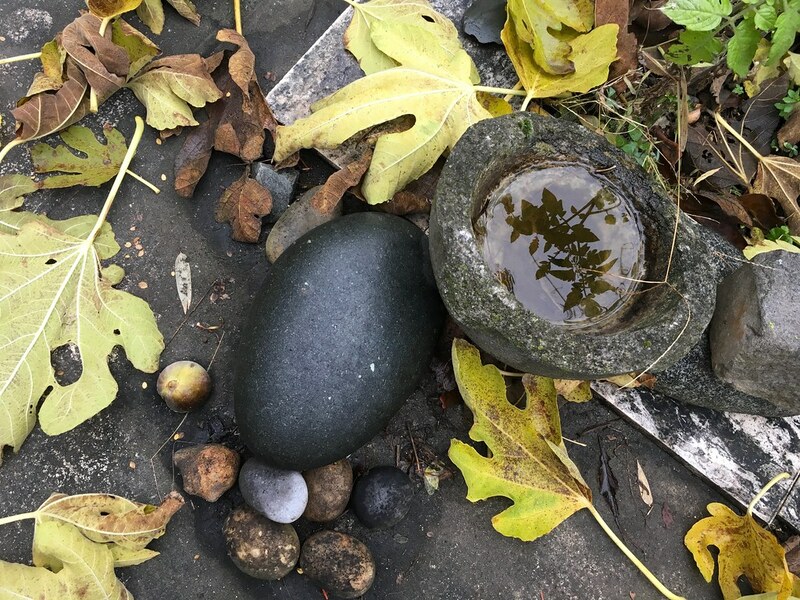 We invite kindred spirits and seek a mutual ‘kenning’, a kind of knowledge that arises in the joining together of descriptive phrases that demonstrate relatedness and interaction. The indeterminate goals of this discussion might include antagonising our particular mediated condition of being ‘alone together’, or perhaps attempts at building together an escape tunnel that would elide the mythic pathologies of self-abuse, loneliness, laziness (how did we become so withdrawn that doing something, anything, gets called ‘accelerationism’? ), and (spiritual) impoverishment that seem to be mainstays of today’s individual-institutional relational condition and conditioning. 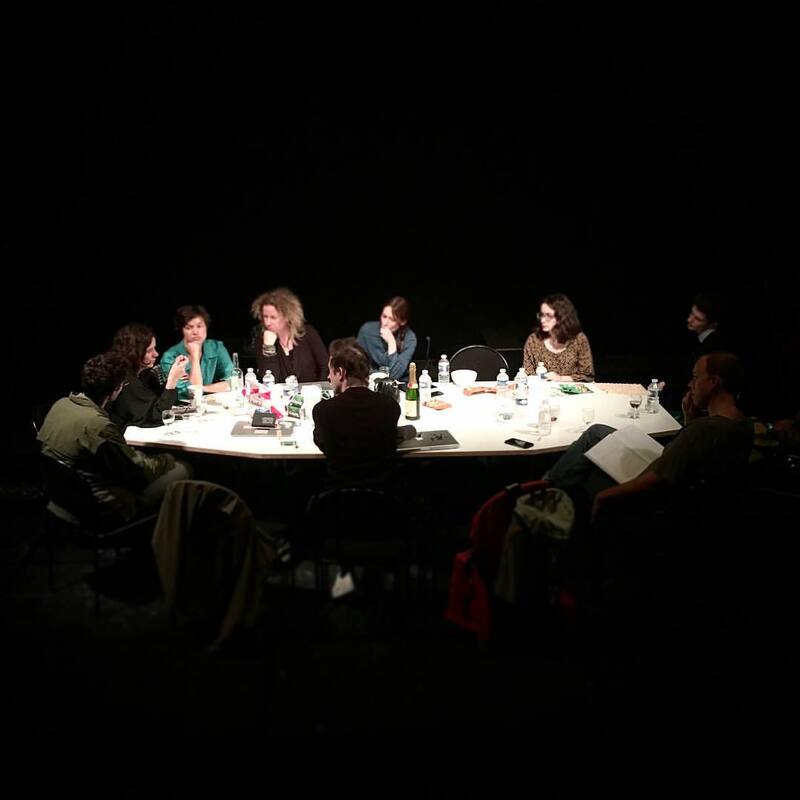 “La fratérnité” deals with groups, ideology, embed the universal (the one in the declaration of human rights), institutions and the structured idea of a reasonable way to live together as a society. Friendship may be the smallest unity of sharing which can thought repetition and complexity achieve unpredictable situations. It is atomic, uncentralized, unscalable, unglobalized … A basic feature already there that could pop up from anyone. Friendship in not something you seek for or you declare forever : it’s something you are glad that came up. If Friendship can be a group concern or a political vector it is only form a peer to another. Friendship is not knowing someone’s whole life but accept what is there now without trying to fill the holes.